Sign a waiver and ensure you have proper footwear (close toed shoes). Meet your coach, who will explain the safety rules and provide a 5-10 minute instructional session. Each thrower gets at least 5 practice throws before starting. Your game starts! Players throw head to head against one and other until a champ emerges. Payment happens towards the end of the event. You will be notified when you have 10 minutes left and may have the option of throwing for more time if there is availability. 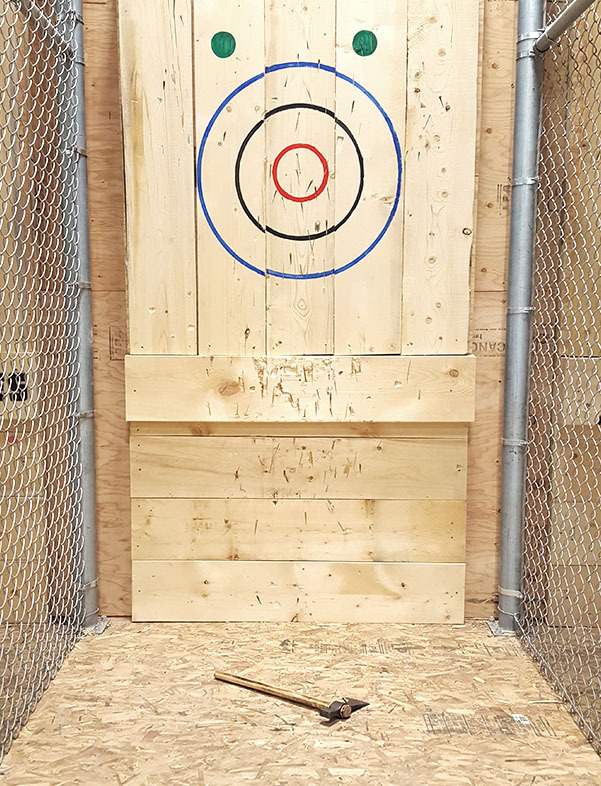 Each axe throwing facility has varying targets, scoring systems and game modes, so below you’ll find out what we go with here at Axe Games Omaha. 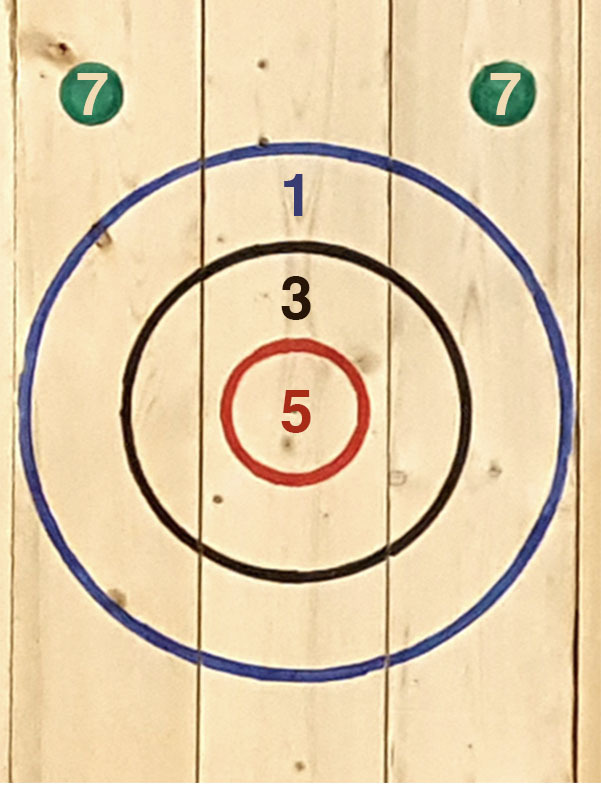 7 points for the green circles. 5 points for the bullseye. 3 points for the black inner circle. 1 point for the outer blue circle. If the axe is in 2 rings simultaneously, then the participant is awarded the points for the value of the ring where greater than 50% of the axe lies. 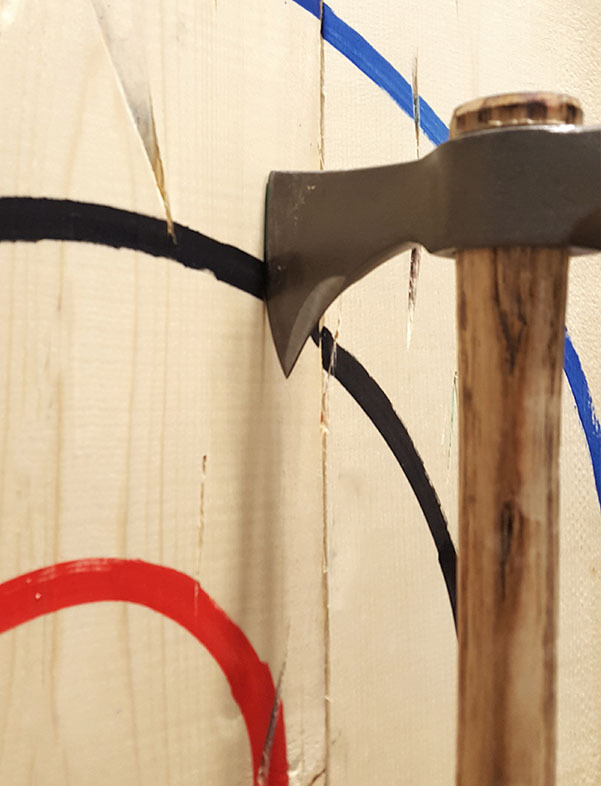 The axe must remain in the target for the throw to count. If it falls out, then the throw will be awarded a “0”. If a player can grab the axe prior to it falling they will be awarded the points for the throw. In tournament play if the game is out of reach the player losing the match will receive 1 final shot where they can yell “Redemption!”. If they hit a redemption circle with the shot the game will continue in a sudden death 1 throw playoff. 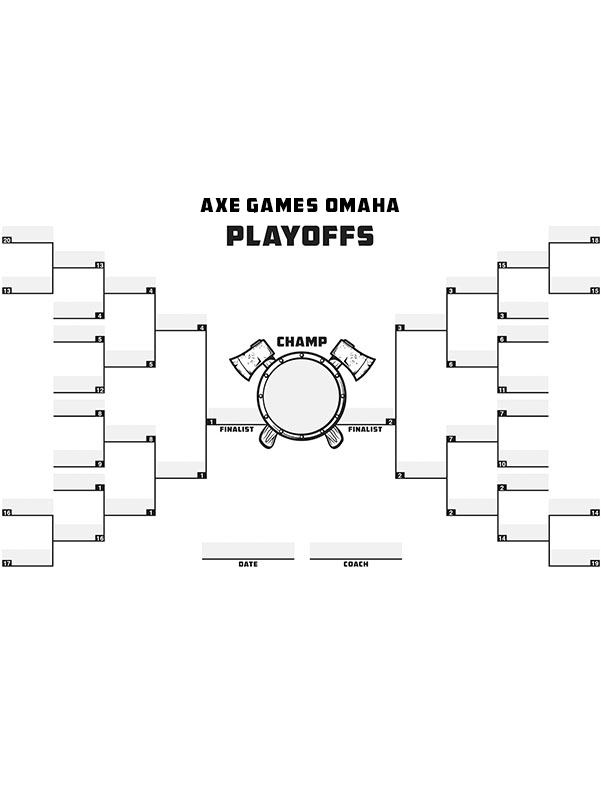 We offer fun alternative games from time to time, but here is how we run a standard tournament game at Axe Games Omaha. 1 game consists of 3 matches. 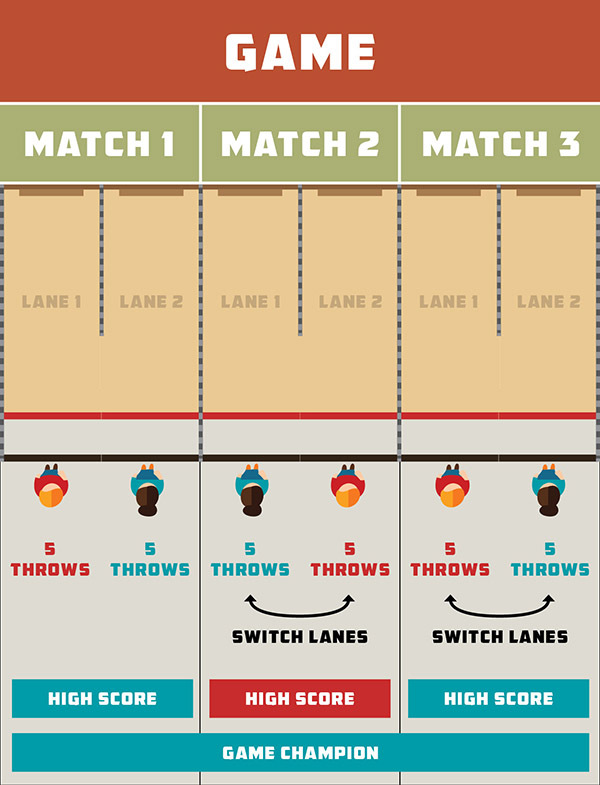 Each match consists of 5 throws per participant. So each participant will get 15 throws per game. Whoever gets the best 2/3 matches wins the game. 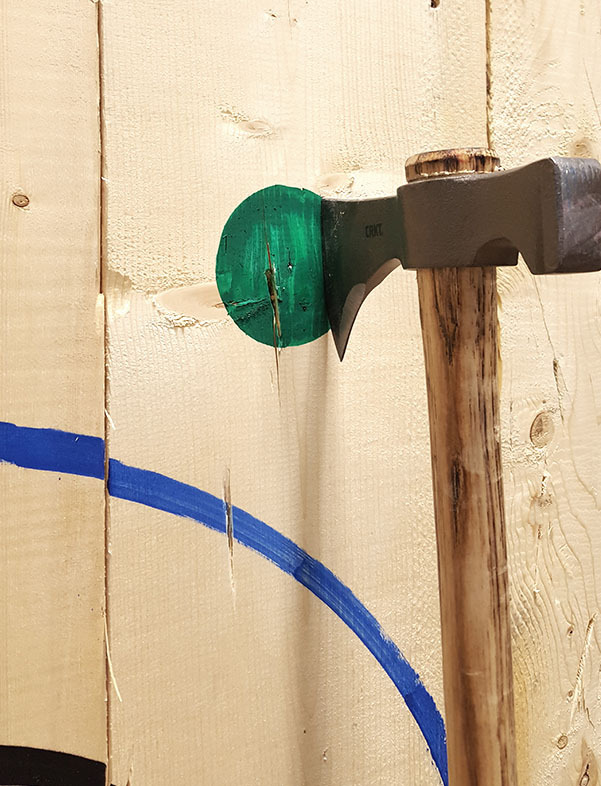 Don’t worry if you lose the first 2 rounds – we always throw the final 5 throws of match 3 regardless because throwing axes is fun! Your axe coach will score your game on a score sheet and keep you posted on where your scores stand as you go. 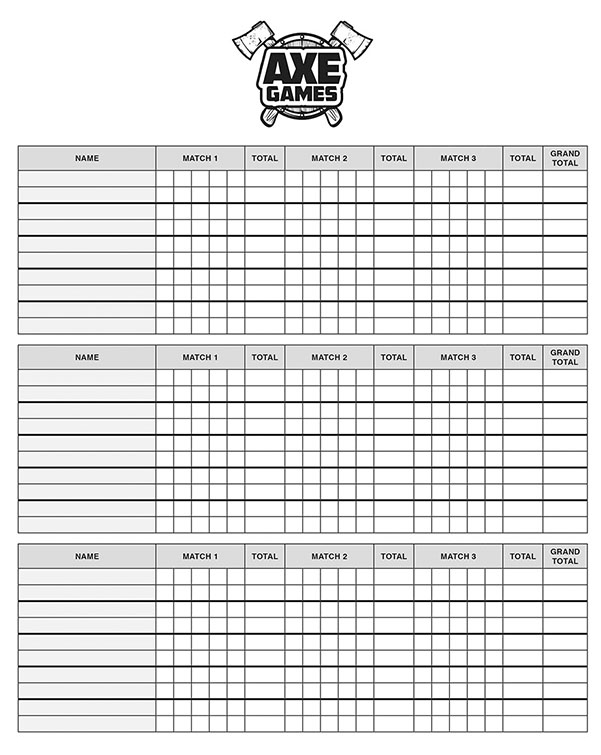 Depending on groups size (generally after 2-5 games), your coach will enter everyone into a final playoff game and score participants using a bracket tournament style sheet.